A truly warm Highland welcome awaits you from your hosts and Proprietors, Mhairi and Peter Doherty. Both are local people with a deep knowledge of both the hospitality industry and the surrounding area. Fasnahuile is a family-run B&B with a great reputation for providing superb food and a relaxing atmosphere for your holiday. 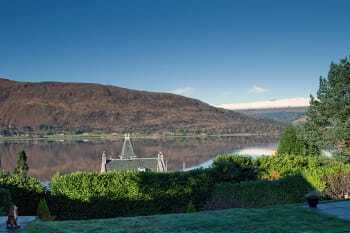 We are very close to Fort William town centre and we offer a marvellous outlook over Loch Linnhe and the Ardour hills. There are no rooms available at Fasnahuile for these dates. Crannoch fish restaurant in Fort William worth a visit - expensive but very good. The seafood restaurant is excellent - the best langustinos ever! Fabulous views across the loch. Spotlessly clean. Great breakfasts. Easy stroll into the centre of Fort William where there is a wide choice of restaurants. Crannog seafood restaurant is excellent. Booking essential. It’s a short drive to the Glen Nevis visitor centre which is the starting point for the Mountain Track up Ben Nevis. Friendly & a warm welcome. A perfect ending to our west highland way hike and stay in Scotland. Fasnahuile has a great view, is close to downtown, is comfortable, and most of all is run by the most lovely Mhairi and Peter. Our hosts did everything they could to welcome us and we enjoyed the best food on our trip here. I highly recommend staying here and wouldn’t trade it for anywhere else. I even accidentally left some shoes behind and they were in the mail back to Canada before the end of the day. Amazing. Fasnahuile is a lovely place to stay. 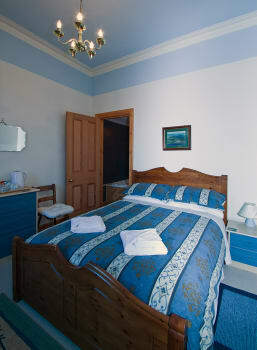 There is a warm greeting, lovely views, very comfortable rooms and excellent food. If you are on foot, it is quite a steep walk up from the station, but a phone call to Fasnahuile will get you a lift there. We found a fairly new restaurant called The Geographers a good place to eat, but there are many varied places. The fish restaurant by the pier is recommended, but make sure you book in advance for a table. The west highland museum in town is definitely worth a visit. Very friendly hosts, everything was really very clean and nicely decorated. View from our room to the waterfront, very quite room. Good breakfast with fresh fruit. 5 minutes walk downtown to restaurants. A good location not far from the center. Very pretty house and lovely settings in. Perfect breakfast in a typical scotish atmosphere. Great welcome from Mairih and Peter. West Garrisson restaurant in town center. Train from Fort William to Mallaig (normal if the Jacobite is overbooked). Thanks to Mhairi and Peter for their welcome to their lovely home. They gave us some really useful advice about places to visit and routes etc. Their house is situated on a hill overlooking Lich Linnhe with some steep steps down to a superb garden. Our ground floor room, which was clean and well-prepared for our needs, gave a superb view of the loch. It's about a ten minute walk downhill to the town with its restaurants and bars. Breakfast was delicious and plentiful. Thanks to our hosts for looking after us so well. Mhairi recommended a restaurant on the loch called "Crannog" - an excellent choice, especially fish options. The service was excellent. We drove to Glen Coe from Fort William - a straightforward journey. On our way back to Inverness, we visited Aonach Mor and took a gondola ride to the top - views are stunning on a clear day. Hosts are very nice, Breakfast very good, everything perfect. Must see things, Ben Nevis, Neptures Staircase, Braveheart Trail. We got a lovely welcome from Mairi and her husband Peter. They couldn't do enough for us and were so helpful when we needed to dry our stuff. 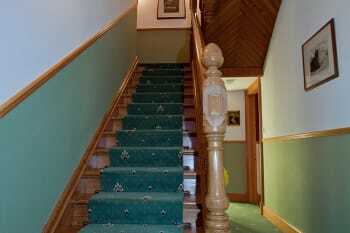 The whole house is immaculate and the room we had with the four poster was lovely with the best views over the loch. I would definitely come back. You can park across the road, the property is easy to find. Places to eat are very close by down the hill on the street. The Garrison pub had a great atmosphere with live music and although we didn't eat there the food looked good. Beautiful view, beautiful room and the kindest hosts you can think of. Breakfast was incredible. I absolutely recommend Fasnahuile to other travellers. A home away from home. Thank you Mhairi and Peter! Fasnahuile is just a few minutes away from the town centre with all the shops and restarants. We travellef the Jacobean train (Hogwarts Ecpress), went up the Aonach Mor, with a sunny view of the Ben Nevis, and went to Treasures of the Earth. All of them were great, not to be missed. Warm hospitality, very clean room and delicious breakfast. Sehr nette und hilfsbereite Wirtsleute. Schönes Zimmer mit großem Bad, in unserem Fall mit Blick auf Garten und See. Sehr gutes und umfangreiches schottisches Frühstück in einem urgemütlichen Frühstückszimmmer. Diese letzte Unterkunft auf unserer Highland-Tour war auch die schönste; nur zu empfehlen. Fort William ist eine wirklich schöne kleine Stadt am Fuße des Ben Nevis. Ansehen sollte man sich auf jeden Fall auch die Schleusenanlage "Neptun's staircase". Empfehlenswert auf jeden Fall auch der Pub "The Grog & Gruel" in der Fußgängerzone. I liked my stay here. Away from the main road so quiet. Vrry friendly and helpful couple. If in fort William again will stay again. 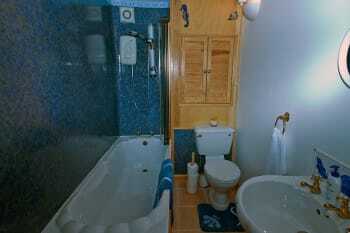 a really warm welcome, good location, breakfast was great, room, bathroom very clean and well kept. Could not fault the B and B - but perhaps the most important - Mhairi and Peter were lovely hosts. What a lovely place to stay with a lovely host Mharie. Beautiful location and spotless house.Mharie even ran us to the station for the Jacobite train. Definitely recommend. Ten out of Ten....Alex Macrae. We had a wonderful stay. Mary could not have been more helpful. some of the kindest people I've ever had the chance to meet. Nothing was too much to ask, breakfast was incredible, and the room a lovely place to relax in after sight seeing all day. This was a memorable place to stay and would look them up again in a heartbeat. Thank you for everything and I hope the trip to Spain was everything you wanted it to be! I would definitely check out the lime tree hotel restaurant- a little pricey but worth every penny. What a lovely hostess! Fasnahuile is the most comfortable b&b i have ever had the pleasure to stay in. Immaculate, really comfortable, lovely breakfast, and so thoughtful. Great location, easy to walk to from town/station. Fasnahuile is simply amazing. This little B&B sets the bar to which all others should be measured. Mary and Peter the hosts are so kind and wonderful. Always willing to provide that little bit of local advice that will make your visit that much better. The rooms are dazzling with beautiful hardwood furniture, and plush fine linens. The views of the Loch are to die for. 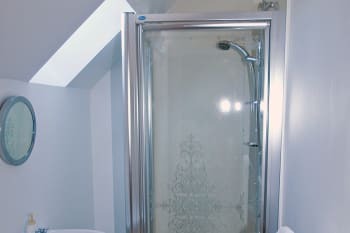 The attached ensuite bathroom was clinically clean and outfitted nicely. The breakfast was over-the-top. Mary's skills as a host are only topped by her skills as a chef. Her eggs are delightful, cooked to perfection. The bacon was thick and juicy. The selections of toast spreads rival that of 5-star restaurants. Tea, coffee, juice, and milk were all provide. We ate so well here that we didn't need another bite before climbing Ben Nevis. My only complaint is that I could not stay here more nights, and I will judge all others to Fasnahuile's high standards. I fear all future B&Bs will struggle to meet such exemplary expectations. All B&B hosts should be imparted with the love of hosting that Mary displays. every thing is only a little walk away. For the Jacobite Train tickets should be bought in advance. A few tickes are availble in the train. What an amazing place!! This B&B is run by the most lovely hosts I've ever met. Had a fantastic time and loved the large breakfast every morning. More than highly recommended! We enjoyed our stay very much, which exceeded our expectations. The room was very cosy with a beautiful view, breakfast in the dining room was always on time and had much more food than we needed. Service was excellent, and we highly recommend the place as a beautiful and quiet oasis. The seafood restaurant very close to Fasnahuile is definitely worth a visit. The Jacobite Steam train is a beautiful trip and a must for all Harry Potter fans. Plan your trip in Fort William and the area a little before arriving, especially if you're going by public transportation, as it might be necessary to book some things in advance. 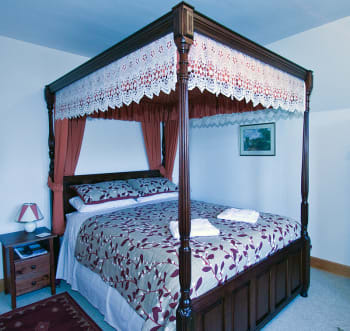 Fasnahuile is a beautifully appointed B&B with a wonderfully friendly and helpful host. The garden surrounding the house is superb and the view over the loch was lovely. We can't remember this B&B more highly. We ate at the West End Hotel which had a great pub style menu with above average quality. A word of warning - there's more to do in and around Fort William than we anticipated, so make sure you enjoy Fasnahuile for a good few days! Our hosts were vey friendly and made us most welcome. Our room and ensuite were clean and tidy and nice to come back to after a day out. Breakfast was good, with lots if selection. Great location, with an easy walk to town. Lots of pubs to choose from, especially liked the Grog and Gruel. We had a very pleasant three night stay in a lovely room with a super view of the Loch. The facilities and food and hosts were great. Lovely hosts and great room with an amazing view! We also loved the breakfast! It was a pleasure to stay with you. Thank you so much for your hospitality, advice regarding our itinerary and for giving us some lifts. This is by far the best B & B in the area. Mhairi and Peter are excellent hosts and went out of their way to ensure that our stay was incredible. 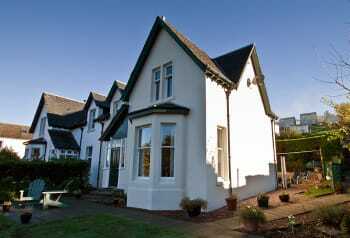 The house is spotlessly clean with a fabulous view of the loch. Breakfast was freshly made to order and even included a fresh fruit salad. I'm loathe to spread the word of just how good this B &B is in case they're fully booked! 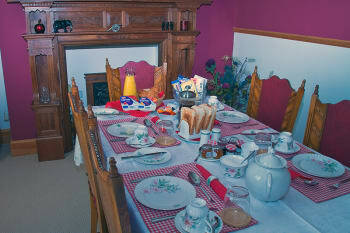 Superb friendly welcome from the hosts, excellent quality of rooms and facilities, and breakfast very good. Lovely garden and views across the loch. All in all, a very good stay and highly recommended. Mary and Peter are wonderful hosts and this is a superb house with a wonderful view across the loch. Two little practical notes which may affect your stay. 1, if you are not fully mobile then there are steps into the garden which could be awkward. 2. Parking is not on the property, but on a free public car park across the road. I managed to find space for my big car no problem, but it could be busy at times. Absolutely fantastic stay! Highly recommended! Fasnahuile is close to the Fort William town center, easy walk to shops and restaurants. Peter and Mhairi are lovely! Really amazing stay, we loved our time here!! The view was incredible. The room was lovely, spacious and clean. The owner was so lovely and friendly and gave us lots of information. Breakfast was really good (especially the cooked breakfast). Would love to stay here again if we visit fort William again. We have stayed in many a bed and breakfast and I don't think we have come across friendlier or more obliging hosts. Wonderful views from bedroom window. Easy walking distance from Town Centre. Very welcoming and nothing was too much trouble - even giving us breakfast at 6am before our long drive home! Wetherspoons suited us fine for evening meal, but get there early as it gets busy! We had a marvellous stay in our exceptionally comfortable room. Every facility was catered for and everywhere was immaculate. Breakfasts were superb and nothing was too much trouble. I would have absolutely no hesitation in recommending Fasnahuile. Thank you. If you like seafood book a table at The Crannog Seafood restaurant. Not cheap but extremely good. Although I did not stay there my parents did as part of their 50th wedding anniversary celebrations. They had a great time with the owners being nothing short of helpful and hospitable. 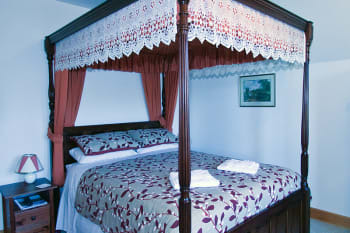 The room with its four poster bed and views out over the loch made for a very relaxed and enjoyable stay. 5 stars for everything! We had a really great time here, if we visit Fort William again, we will stay here. Climb Ben Nevis. Visit Old Inverlochy Castle. A very warm welcoming house. The standard of cleanliness is unsurpassed. The landlady was very knowledgable about the surrounding area and had some very useful tips about shops , restaurants and local history. Depending on your interests the landlady will steer you in the right direction. Nice room. Excellent view. Friendly, family run B&B. Very handy for walking into Fort William. A lovely home with wonderful hosts. Can not say enough about how welcome we felt and the level of service we received. A great 5 day stay, and made us feel really at home. Great view from the garden/patio over the loch. Good local advice given. Very good welcoming from the owner. Lovely people - friendly, welcoming, kind, considerate. 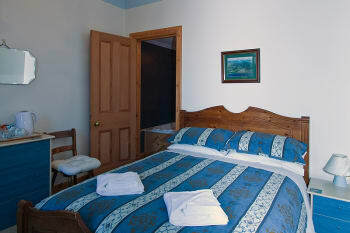 The view from the bedroom window over Loch Linnhe is spectacular and the big 4-poster bed is wonderfully comfortable. Breakfasts are varied and generous. All in all this is a great place to stay and if we are in the area again this is undoubtedly where we will come. Perfect base for visiting the Fort William area, whether you are climbing Ben Nevis or, like us, taking the steam train to Mallaig. It was the cleanest, best decorated, friendliest and most comfortable b&b I have stayed in, in my 20 years of touring Scotland. The hosts are as helpful and welcoming as they could possibly be and having lived in the area all their lives are full of great information to make your stay in the area the best it can be. I will definitely be returning when back in the area. It's Fort William - everything is here for the wildlifers, thrill seekers, hikers and young families. Ben Nevis, world class cycle trails, fishing, steam railway - Harry potter, good restaurants, Caledonian canal and locks, great shops. All walking distance from the b&b!! Also go to the fort and through the arch onto the shore front - you get a different view from there. The only bad thing - McDonald's - but you can always use it to bribe the kids I guess ! !